Srinagar, July 10, (Scoop News)-Lt. Gen. Ranbir Singh, Army Commander, Northern Command, met Governor N.N. Vohra at Raj Bhavan today. 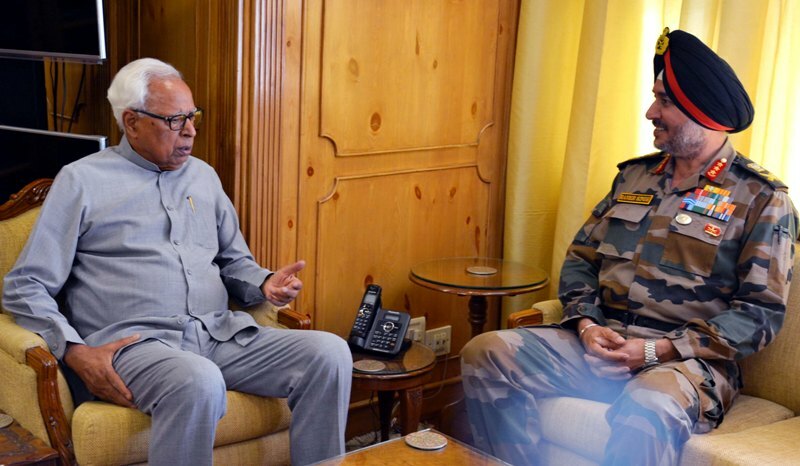 The Army Commander, who has undertaken extensive tour of areas in the Valley in the past four days, shared his views and experiences with the Governor. Raj Bhavan Spokesman recalled the Governor’s meeting with the Army Commander late last week when the Governor had called for more cohesive Civil-Police- Army collaboration in combating anti-terrorist activities.